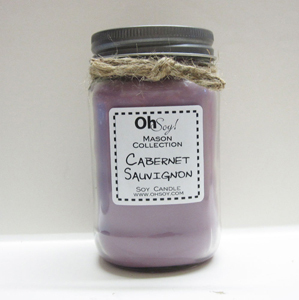 16oz Soy Mason Jar Candle in Cabernet Sauvignon scent. Cabernet Sauvignon Scent Description: Sweet aroma of wild grapes enhanced with hints of strawberries and sweet sugary notes and a vanilla musk. Sale is for (1) 16oz Candle.